Sveta and I are working on many projects as the summer races by. 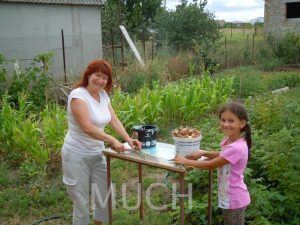 Our eight-year-old grandchild, Sonya, enjoys helping Sveta harvest the onions and green beans. I am making progress on the exterior insulation. The other morning I went to the church that we attend and help stack wood for the winter heating system. We have a circulating hot water heated floor system. The cost of gas is too high, so few years ago, the church turned to wood heating. In last month’s newsletter, I shared some of the process of how MUCH has grown over the past fifteen years. On a more personal and spiritual level, the grassroots process is like this. I listen for the voice of God. When I am clear that it is His voice, His direction, then I do what He says. Last year, God put three more village schools on my heart to assist with their education needs. 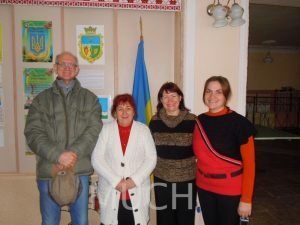 Sveta and I investigated each school, talked with the director, and evaluated the need. We looked at the physical condition of the school, the classrooms, and the floors, to understand the governments lack of interest in the school, and the administration and teachers interest in the school. In each of these three schools, it was clear that the teachers were investing what they could, to do the best that they could for the students. Unfortunately, the teachers don’t make enough money to make a significant contribution. Will the next Galileo come from a Ukrainian village? Let’s invest in them and find out! This may be a three year project for each school. Fortunately, MUCH has funds to begin the project. Our first provision will be for September 1,2017. Please begin to pray for the success of these projects. Here are some details that may help you understand the common needs that we find is each village school. This is the building for the high school children. There are four or five classrooms in this building. If you walk further up the hill behind me, you will see Poland. — In this Chemistry classroom, the director of the school stands toward the front of the class. The teacher who approached me about help for this school was very shy to talk with me. When she finally got up the courage to ask for help, she only asked for one computer, their greatest need. 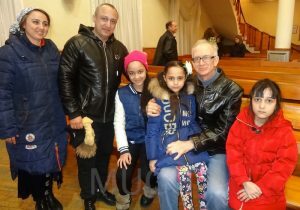 We talked some more, and Sveta and I agreed to visit the school the following day. We rode in an old car on dirt roads that were peppered with potholes. 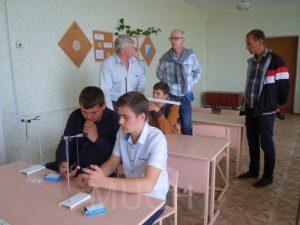 When we visited the chemistry class, we learned that nothing had been updated or provided since Soviet times, at least twenty-six years ago. 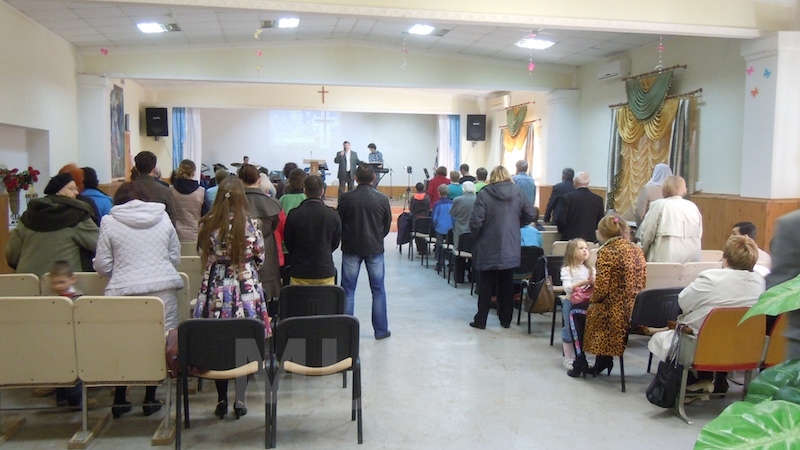 Two new windows and four desks were provided by the directors relative as a gift. The government has done nothing for this school. Between Sveta and I stands the director of the Shostakovo school. To the right of Sveta is Dasha, the first grade teacher. This school of about seventy children is a little better than Migovo. They do have a computer. The Chemistry class at this school is a big room with some technology, but no chemicals to do experiments. The gymnasium is in the “dungeon” of the school. They need sports equipment and some items as simple as jump rope. When we visited in early spring, it was very cold in the gymnasium. I talked to the director about resurfacing the blackboards with blackboard paint. I asked if they would do a test blackboard. She looked at me with big eyes and said, “We will be happy to do it over the summer.” This school is focusing on building maintenance in the following way. At the end of last school year, the parents of each class pooled their money to buy a new door for their children’s classroom. The parents of Dasha’s first grade class of six students needed outside assistance to come up with the money for their classroom door. Dasha uses her personal computer to inspire her class. I first visited this school a number of years ago to talk with the children in the English class. The teacher was my translator at the time, and is now our manager in Marganets. This young woman was very aggressive about creativity for her English classes. Dissatisfied with the English material available, Inna created her own English study book and teachers manual. Some of the teachers bring their personal computers to enhance the classroom experience. On our last visit, I talked with the director about the education equipment needs of the school. She showed us the school, stopping in different classes in progress. It was clear that the school was not a big concern of the local government. The Chemistry class was in need of chemicals for experiments, like the other schools. Each class on every grade level is in need of many items of education equipment and materials. It was that way with Marganets School #3 and Ternava schools that MUCH has helped in the past. This is why MUCH always has children waiting for help, whether in education or healthcare. The government is in a state of change, as is the country. It seems that the needs are pretty much the same wherever we go. Decentralization of the government is bringing control of spending to the local government. We are seeing road repair happening, but education does not seem to be such a great need. I see change happening in Ukraine, although it is slow. The Ukraine Economic Update – April 2017 by the World Bank shows progress of the Ukrainian economy. The article and video at the bottom are very informative. 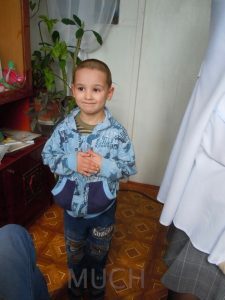 In Chornomorsk, Dr. Natalia continues to show progress with the children providing wonderful results. Mark and I watched how the children worked at following all the instructions of the massage therapist and coach with great desire. Children want to walk and run as other children do. They want to be with other children in kindergarten and go to school. They want to draw and do everything that healthy children can do. We see a huge thirst in their eyes and they are ready to work to change their lives. But they need help and encouragement from their parents and others. Thank all of you for helping the children in an invisible way. God sees your works of mercy through MUCH. Last month, the parents of six-year-old George, carried him to the clinic to receive massage therapy. The boy has cerebral palsy, increased spasm in the legs, and he cannot walk on his own. After a 15-day course of massage therapy, ozocerite (black wax) applications, and special physical training, the spastic action in his muscles decreased. George can now walk a short distance using both hands for support! This was the first course of massage therapy for him. Dr. Natalia sees that the boy has a positive dynamic and it is necessary to continue receiving massage therapy. Thank you Dr. Natalia for your passion to help children. For five-year-old Ann with the diagnosis of cerebral palsy, massage therapy began in January 2016. During this time the girl received nine courses of massage therapy. To date, Ann is already confidently sitting in an Indian pose with a flat back. She is sitting on balance board that rocks from side to side. You can see the difficulty for her to stay sitting upright. Day by day, Ann is painfully making progress. She grasps objects very well with her right hand, but her left hand does not open so well yet. Ann has decreased the tone of tense muscles and her speech significantly improved. In this picture her task is to raise the bar with both hands to the level that Valya requests. The exercise program that parallels the massage therapy and other treatments is one big key to Ann’s progress. Thank you sponsors for helping make this treatment possible for Ann! Parents are deeply grateful that their children have the opportunity to receive a massage therapy! One of our massage therapists may retire in the near future. We ask for your prayers for provision of her replacement. This entry was posted in Early Intervention, Health Care, Massage for children with disabilitiees on September 6, 2017 by Sveta Koehler. Sept. 1. The change of seasons are abrupt in this part of Europe. August 24 celebrates Independence Day in Ukraine. This is their twenty-fifth year of freedom from the Soviet Union. Children who were born in freedom, after 1991, are raising a second generation of children born in freedom. It is a great privilege for me to be here, watching the process. We have been changing the lives of children at the Marganets Orphanage for fourteen years. August brings an end to this part of the MUCH mission in Marganets. The simplest way to explain is that we are not seeing the results that we have seen over the years. The need for clothing is less, and the other goals have been met. The children have better self images, are behaving better in the classroom, and have earned the respect of the children in the community at large. Thank you for your support for these children over the years. Your contributions have changed the lives of a generation of children. Here is a story of how two people encouraged each other to blossom their visions to help disabled children. In 2003, I was in great need of massage therapy. After living in Ukraine for a year and a half, stress caused my neck muscles to tighten so much that I couldn’t turn my head. I was introduced to Dr. Natalya Borisovna, a massage therapist. At the time, her patients for massage therapy were adults. After my good results, I asked her if she was interested in working with children. She had been praying for the opportunity for three years! In March of 2004, we began the MUCH Massage Therapy program with two children a month. Twelve years later, MUCH has blossomed the massage therapy program. We provide massage therapy for at least twenty children per month. 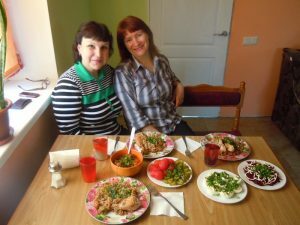 We have: two massage therapists at the Dobromel Orphanage, northwestern Ukraine, two home visit massage therapists in Chornomorsk, and one in training for home visits in the village of Molodozjnoye in south western Ukraine. 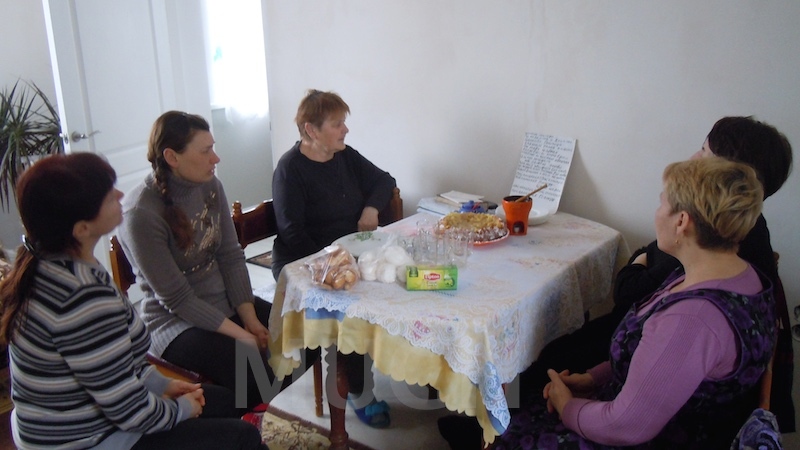 There is also a vision for massage therapy at a second orphanage in northwestern Ukraine. For twelve years, Dr. Natalya has been on a journey of her own. When she started the MUCH massage therapy clinic in 2004, she worked part time for us and part time in her private practice. A few years later, she was hired to work at Golden Angel in Odessa, giving massage to children with disabilities who came from many parts of Ukraine for treatment. 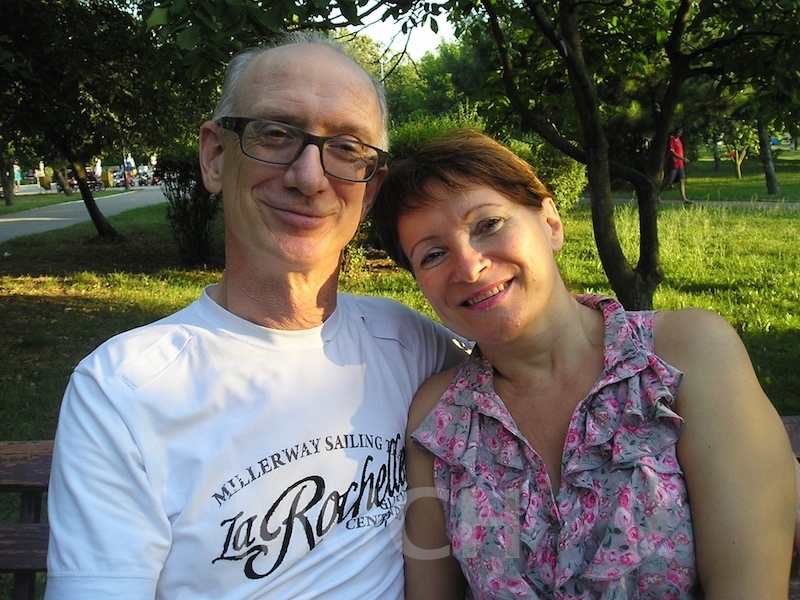 Dr. Natalya has returned to Chornomorsk, reopening her private practice of massage therapy. She has blossomed her business into a complex treatment of full body massage, hot earth wax, facial point massage, treatment for joints, therapeutic exercise, and an ice bath. This full treatment requires about two hours and forty-five minutes for a ten or fifteen day program. MUCH sponsors six of her patients. She has a team of four massage therapist, and an office manager. Dr. Natalya helped me: physically regain relaxation of my muscles, begin a clinic for children with special needs, and train our new massage therapists. God used me to: answer her prayer to work with special needs children, encourage her to continue through sponsorship, and ask for her help to train our new therapists. This is the successful story of how Dr. Natalya and I encouraged each other to develop our visions to help children with disabilities. We have made a lot of friends working at the orphanage in Marganets. Our hearts were sad when we had to stop the program. The children were always waiting for our arrival. When Mark and I entered the orphanage gate they recognized us from a distance and ran to us shouting, “Mark and Sveta are here!” We had limited time to talk and play with the children. When we told them that we had other children in their city to visit, they were jealous. Teachers are responsible to bring each child for massage, knowing the appointed time. Sometimes Paul takes a child for massage therapy and returns him/her at the end of the massage. Because the education building is across the street, sometimes the therapist will take two children. While waiting for their turn, they are happy to spend time in this magical room, running on the treadmill, playing on a massage mat, and using other exercise equipment. Some children are so interested in the procedure of massage therapy, they cannot look away from the working hands of the therapist. We have written several times a bout children who came to the orphanage from a Baby House (orphanage from birth to first grade). What enormous changes have taken place in their character and health because of massage therapy mixed with the love of people who care about them! The boy who is watching massage in the picture above came from a Baby House. When he arrived, he was wild and uncontrollable. He has been receiving massage therapy for three years. We are so happy to see the great changes that have occurred in his life during this time. For me, this boy is a living example of how a child may change through the love of the people around him, and as the love of God unites hearts of Americans and Ukrainians! Thank you for your part in changing the lives of these children! 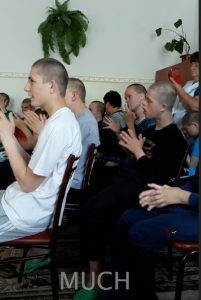 This entry was posted in Changing children's lives, Children in Ukraine, Dobromel, Massage for children with disabilitiees, Newsletter, Orphanage and tagged Independence on October 13, 2016 by Sveta Koehler. Sveta and I enjoyed a couple of weeks of snow, but now the 35F plus weather has brought the rain. Snow may return before spring arrives, but it will not stay long here by the Black Sea. The weather changes most unpredictably. Sveta is moving my residency documents along quickly, as my Visa D will expire February 21. Life is good. 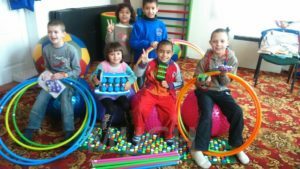 The Christmas Fundraiser has made it possible for the computer program to begin this month at the Dobromel Orphanage for special needs children. We are so pleased that we are able to offer the children massage therapy that began last January, and computer classes this year. We look forward to hearing and seeing the progress results. We have talked with the director of the orphanage, and he is very grateful. We pass this note of thanks on to you, the sponsors. 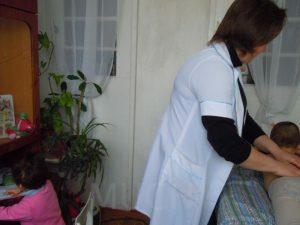 The sewing machine for the Marganets Orphange will be delivered this month. Sveta will order through the internet, it will be delivered to a shipping company in Marganets, and our manager there, Anatoliy, will pay for it and deliver it to the orphanage. Cash on delivery is quite common in Ukraine, and gives me considerable peace of mind because I don’t have to worry about my debit card being compromised. On another front, we provided the transition home in Marganets with one washing machine. I will share the rest of the washing machine story in the March Newsletter. I want to share a story with you about one of my special children. D. was born with Cerebral Palsy. She began to receive medical attention at the age of two, which is the old Soviet mentality. I met her when she was four years old. Palsy affected her legs and feet, but she used all the muscles in her body when she would try to walk. Her inability to balance caused her to fall to one side or the other. It would soon be time for her to begin kindergarten, and then school. To do this, she would need to be able to walk on her own, maneuvering through her day independently. Sveta has some wonderful stories to share this month. Our massage therapists keep us in-touch with the progress of the children through progress reports. In Illichevsk, at the end of sessions, they invite us to take pictures and video the children, displaying their new abilities. Yesterday Mark and I visited a new child; this is our first visit to him. His name is G. and he is five months old. Two months ago, he received his first treatment of ten massages. Now Tanya, one of our massage therapists, is giving him a second ten-day massage treatment. Immediately from the first days of treatment, Tanya and his mother noticed improvements in G. — relaxation of tense muscles in his neck and back, now G. can turn his head to either side. Before the massage he could only turn his head to one side. G., things are looking up! A., is a sweet baby girl who was adopted by a lovely family. Her new parents are very caring toward their child, take good care of her, and have much patience with her. They need to work hard to help her develop properly in her body and mind. A. is one year and four months old, but she cannot walk like most children at her age. Doctors diagnosed her: mental retardation and spastic syndrome. She received her first twenty-day massage last month. These are the results that Tanya and A.’s mother saw. The girl began to crawl. She can stand without adult support for about one minute.Now she can get off the bed by herself and she began to speak the word “mama.” When we met in the massage room, the mom enthusiastically told us what the girl is now able to do. The mother glowed with happiness. A. will have the next massage course after a month. Patience and love are winning. This is only the first step. She needs to continue to work with the muscles of her body to develop into a healthy child. K. – Mmmm, thaaat feeels gooood! Little K. has regularly received massage treatment from when she was eight months old; now she is two years old. Doctors and parents did not immediately find a problem in her physical development so the massage was started a little late, but even this did not interfere with the results. Before the massage, a big difference was evident; one cheek on her face was large and the other was smaller. Now, both of K.’s cheeks look the same. The muscles on the left side of her neck are shorter, causing stiff neck. Now she turns her head to either side. Tanya continues to work with K. and focuses on the left side of the body, relaxing spastic muscles of the arm and leg. I described three children who had massages in a very short time, but received great results. All three mothers told us what their children’s problems were before the first massage, and how happy they are now, seeing such excellent results. We were also very happy with them. For me they were real miracles; whenever I see or hear about the results after the massage, my heart is filled with joy for these children and their parents. These are not the end-results; our massage therapist will continue to work with these children until our goals are met. We are so grateful for all of your interest in our children and the love that you have for them. Your financial gifts and prayers make all of what we do here possible. Without MUCH, the children with special need, those in orphanages, and the poor wanting to attend higher eduction would be forgotten, or their needs minimized to a survival status. As you can see on the right toward the top, we have six programs that fall into three major categories. In March we will talk about the transportation scholarship program. We will give details of what is happening now and what our goals are. Until then, may God bless you and fill your lives with joy and prosperity. 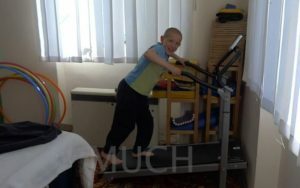 This entry was posted in Children in Ukraine, Early Intervention, Massage for children with disabilitiees, Muscle imbalance, Special needs children on March 3, 2013 by Mark Koehler. It was in the upper 50’s F yesterday, but summer is right around the corner. 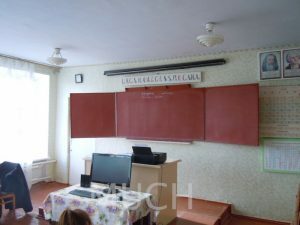 School is almost finished here in Illichevsk, and the children will be running to the beach. Ice cream stands will be rolled out to the sidewalks, and life will appear happy for all. As I walk through the streets of Illichevsk, I am thankful that I was called to live and work in this clean city. Sveta’s and my one-bedroom apartment meets our needs and is our home sweet home. We treasure it as we journey home from our fourteen-hour train and bus trips visiting the children in Dobromel, Marganets, and Froonza. Continuing our look at how we spend our funds, I will share two general areas: education and healthcare. Why is MUCH interested in Education? Everyone knows that education provides the building blocks for functioning in life. It shows us the road to a brighter future. Here in Ukraine, we are looking at two very specific problems: poverty and alcohol abuse. Our goal is to break the cycle of poverty. We believe that alcoholism is a direct result of poverty, although alcoholism has additional roots. We look at the family structure and see that children from poor families have little motivation and almost no encouragement to live a better life. Five years ago, we began the Transportation Scholarship Program with two high school graduates. As you saw in the January newsletter, one of the two graduated. The second dropped out of our program and disappeared. Over the years, three or four more students from very difficult homes were encouraged to go to college. Only one had the motivation to go. Currently, we know of two in college who are in need of help, and more who will graduate high school in the coming years. 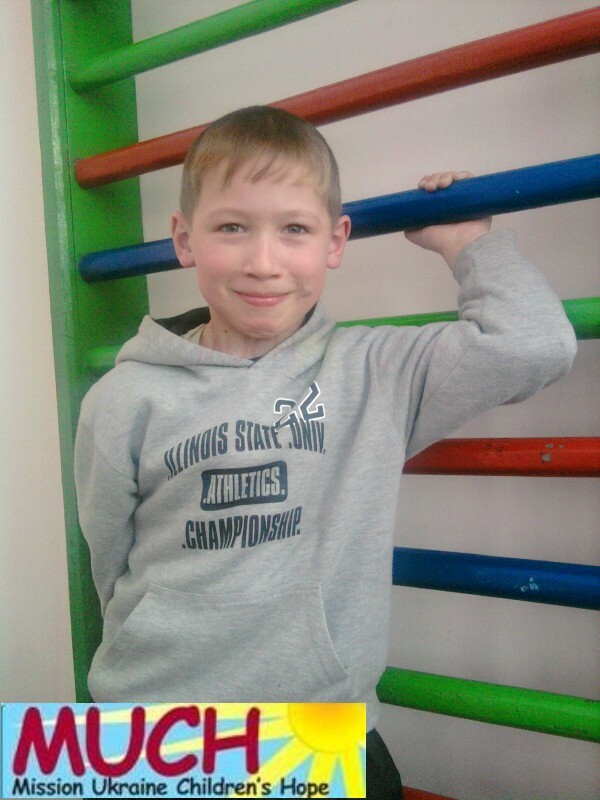 We have the opportunity to help Illichevsk break the cycle of poverty one child at a time. Currently, we have one student, V, who is in the nursing program at the medical college. The cost for one student to travel to Odessa and back (there is no dormitory system similar to the US) is about $42 a month, the cost of one taxi ride in some US cities. Currently, MUCH does not have the funds needed to help more than one student, but they are waiting. At the Marganets orphanage, we support in a small way the Computer and the Music and Dance classes. The administration sees big results occurring in the children because of these two programs. MUCH sees the same results, but why are we convinced that the programs are of value for our support. We understand that music is a central focus in the lives of children and teens all over the world. More importantly, we look at the effects on the brain. Music stimulates the brain and is documented in many studies to have multiple effects on the body and mind. More information about music and its benefits can be found on the internet or in libraries. J. is vocalist for the dance team. The second focus is healthcare. We are concentrating on two types of help. The newest type provides funds for medical treatment of children in a village transition home. This is a small contribution, $37.50 per child for a hospital or Emergency Medical Service visit. To refill their medical box with total contents costs $62.50. This facility is only large enough to house 11 children. Since we began helping these children about five months ago, we provided all of the supplies for the medical box, which was empty. We helped two children recently, one needing an appendectomy and the second in need of an EMS visit because of her heart. This is a small program, but these children are very much in need of a program that can provide funds for medical treatment. We have a Ukrainian sponsor who is giving toward this need. The second type of healthcare is our medical massage program. We have been providing massage treatment for children with disabilities for eight years. One massage currently costs $2.85. We manage five massage programs in three cities and one village. Twenty-one massage treatments are provided each day, costing $59.85, less, I believe, than the cost of one medical massage in America. Each month, we spend $1,197 on our massage program. There is NO overhead! The massage rooms that we use in each program are free to MUCH. The parents bring their own sheet and towel for their child, and the masseuses provide their own massage oils, if they use them in their style of treatment. A. battles Downs Syndrom with massage. in the children, that he wants to have a second masseuse to treat an additional four children. At the orphanage in Marganets, the manager is very pleased with the results that the doctor and her nurse are seeing. We discussed having a masseuse from the city community come and work with the children. This is another opportunity for us to expand our massage program. In all of our massage programs, we are treating a maximum of 252 children a year. So, how many children with disabilities are within our radar? There are about 600 children in the three cities and one village who have disabilities that could benefit from massage. MUCH is limited in providing more services by a lack of funding. In the ten years that I have lived in Ukraine, MUCH has initiated new programs and caused them to grow. We want to continue to meet the needs of more children, but we want to see growth come along slowly but surely, as we have during this last decade. In order to grow, we must see new sponsorship. We visited the Dobromel Orphanage at the time when many of the children who have family were going home for a short holiday. As we traveled toward the orphanage/boarding school, my heart began to sing a joyful song. After being away from my new little friends for six months, I wanted very much to see them again. Our visit with the children brought great joy to them. When we arrived, they came running to us, with hugs and kisses for us, asking, “Will you’ll be giving us a massage?” I replied, “We’ve come to visit you, to see how you are doing.” All the children were eager to receive massage. The week that we lived across from the boarding school, they asked me each day to give them a massage. Natasha, the masseuse, is educated in Sports Medicine. She gives massage and children receive exercise training directly related to the focus of the massage. When these are combined, the results are very effective. One therapist cannot give massage to a large number of children. At this orphanage/ boarding school, virtually all children need massage. We spoke with Lydia, the manager, and she enthusiastically talked about the great results that she saw in the children during the first four months of the program. The program of massage in this boarding school started working in January 2012, and even in such a short period, all of the teachers and educators have noticed the physical and psycho-emotional changes in children for the better. Hyperactive children were less excited and more relaxed, more attentive in class, and some even improved handwriting and posture. The director, manager, Mark, and I are very pleased that the children have a wonderful opportunity to get a massage. The director has a vision to provide progress reports on the results of the massage program for Government authorities to obtain official permission to add a position for massage in the budget of the boarding school. We brought pictures of children who were photographed in October during our past visit. 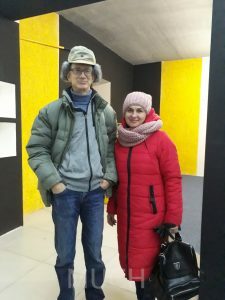 They love to be photographed, so this time we took many pictures of them and they will be looking forward to our next visit when they will receive new pictures. During this wonderful time spent with children, God gave me new eyes to see the children. My heart ached as tears fell from my eyes, such pain as if they were my own children. I do not know why God allows me to see, filled with compassion, the children’s hearts. Of course, I pray for them. While we are visiting them, I can hug them and give them my love. I ask myself this question: “What more can I do for the children; I only spend time with them twice a year?” Familiarity with these children helps me to see their needs and guides me how to pray for them. They are in your hearts and mine, and I know that these children are in the heart of God. Thanks for your help! O.
O has a very sweet personality. You can see the smile on his face and the joy in his eyes. O has scoliosis and a deformity of his chest. Without massage and exercise treatment, his condition may become a more serious problem. In the February newsletter, you read about E, and saw the picture of his severe scoliosis and deformed chest. It is possible that without treatment, O could go in the same direction. MUCH is taking the time and making the effort to improve O’s life. Please help us to guide his health in a progressive direction. Massage helps me so much! gasoline on the fire. Splashes of gasoline fell on her sweater, and it began to burn. M was scared, but her younger brother quickly realized that it was necessary to remove her sweater and he removed the burning sweater. Then, when she was brought to the hospital, the doctor said that it was very good that they removed the sweater; if it were not so, he would have had to remove the sweater with the skin. The girl showed us her post-burn scars. All the back and stomach wounds healed solid brown. After several days of massaging the skin, it became softer and more elastic. She is also in need for corrective surgery. M really likes when she receives massage. It also has very positive emotional effect for her. Where else may all these children receive massage and the results of restoration of mental, emotional, and physical health? My prayer to Almighty God is for healing of mind, body, and soul for these children, for God’s mercy and salvation of their souls. Many thanks to all of you that you keep praying for our MUCH children and financially supporting the work of all of our masseuses. God bless you! We want to share more about the children at the Dobromel orphanage with you in the July Newsletter. Until then, please keep the children and us in your prayers. Thank you for reading! 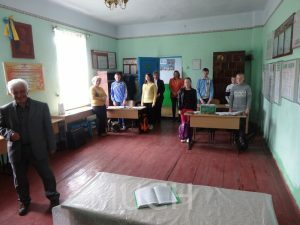 This entry was posted in Children in Ukraine, Massage for children with disabilitiees, Ukraine Missionary on June 21, 2012 by Mark Koehler.